Cambridge-based French pianist Patrick Hemmerlé will perform Fantasies by Schubert and Schumann for the Festival of Chichester. His programme, on Tuesday, June 27 at 1.10pm in Chichester Cathedral, reflects his recent and growing interest in the German composers. 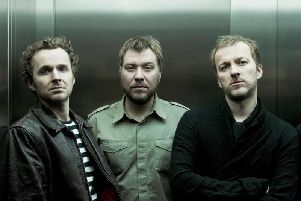 And there is something characteristically German that unites them: “It is something in the way the music is structured. There is something decidedly German there either in the Romantic music where Germany was particularly strong or in Bach. There is no way that Schumann or Schubert could be anything other than German or Viennese. To an extent, in these pieces, Schumann and Schubert were going against their own instincts: “But it is interesting to see how they solve the problems in the pieces. Both of them find some quite original solutions. Neither piece is entirely free of problems, but they are still compelling because their composers were pushed slightly out of their comfort zones by what they felt they had to do by being successors of Beethoven. The Schumann is early period. Everything with Schubert is early period because he died when he was 31. Patrick has given concerts in halls across Europe and North America. Festivals and prizes include Les Aigues-Mort, Valencia, Grossetto and Paris. Free admission, with retiring collection in aid of the Chichester Cathedral Restoration & Development Trust.